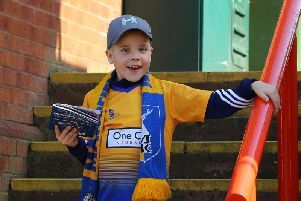 Mansfield Town snatched a point at local rivals Notts County with a 98th minute penalty. Photographer Howard Roe captured the action at a packed Meadow Lane. Click on the gallery to view some action photos. Do YOU agree with player ratings?